Craighelen LT&SC has an active squash section. We have two teams in the West of Scotland leagues, playing matches weekly between October and March. Club squash is played on a Friday evening from 5:30 p.m. onwards, and on Saturday afternoons between 3 and 5 p.m. Visitors, particularly those who have never played before, are welcome (£5 per visit). You are welcome to play up to six times before we ask you for a membership fee. 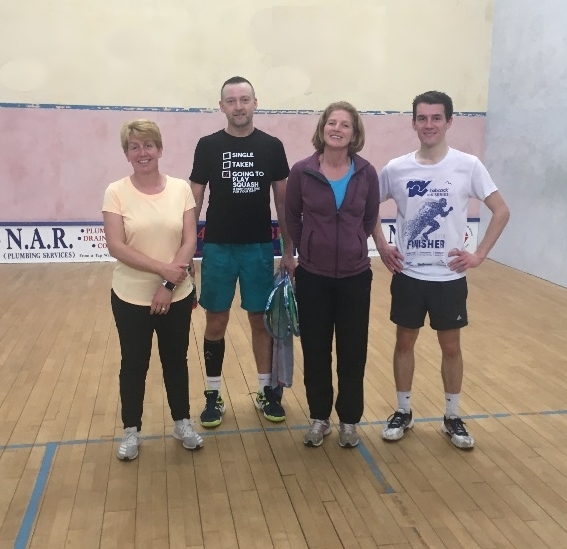 Craighelen squash players have been busy this season, competing in both the 3rd and 5th divisions of the West of Scotland leagues. The first team just missed out on the top three in division 3 with some great results and the second team consolidated their position in division 5. On Saturday 23rd March 2019, Craighelen LT&S club held their annual open day. 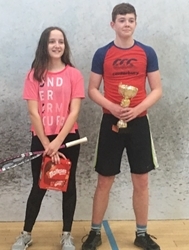 This included the juniors squash competition and the culmination of the ladies and mens singles squash competitions. The day started with a great turnout for the junior round robin event. 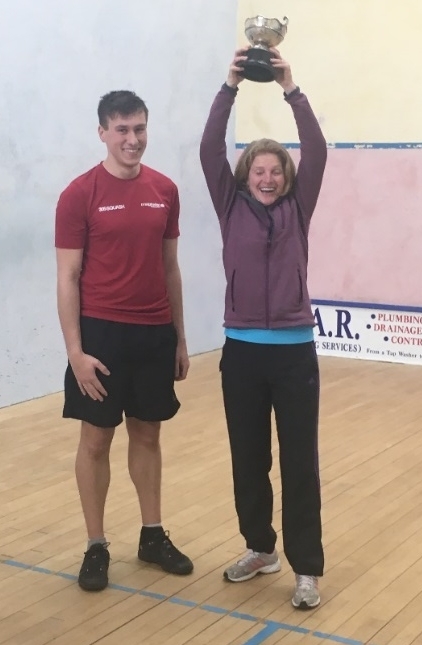 This produced a final between Helen Niblock and Charlie Fowler. Well done to all the children taking part and keeping scores. It was great to see. 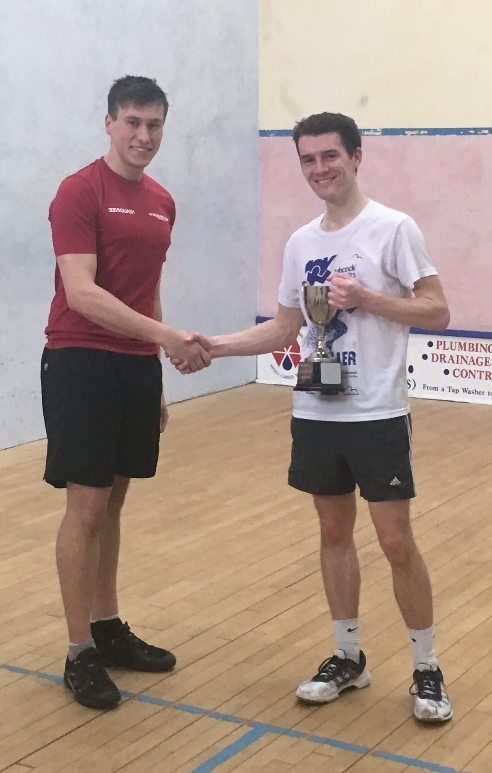 Thanks to Kieran Martin for running all the tournaments, giving up his Saturday mornings for junior coaching, and giving out the junior's trophy. The ladies singles final followed and was hotly contested by Lisa Fowler and last year's winner Amanda Byles. Lisa was victorious this year giving the Fowler family a double celebration. We think Lisa was quite happy with the victory! The last of the Club Championship matches was the mens singles final. This was contested by Scott Weir and Alan Barbour, with Scott emerging the winner. 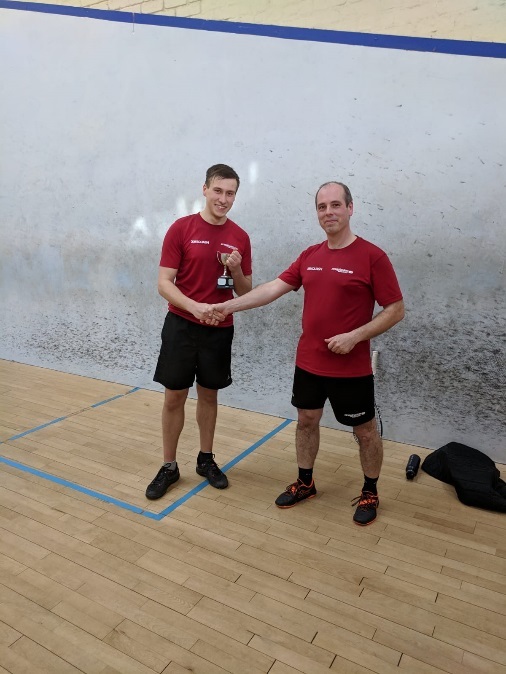 Andrew then went on to win the squash plate competition. 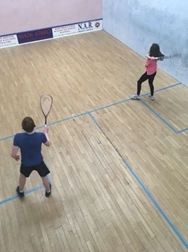 So, if you fancy having a go at squash, racketball or tennis, we would love to see you at Craighelen LT&S. We even have spare squash rackets so you don’t need to own one yourself. All standards and ages welcome.